'1+1+1=3' is the arithmetics of a group. The arithmetics of a team is '1+1+1=111'. have a great many → winners in them; most of the players poised and confident, and although they may well be 'stars' in their own right they allow others to shine in order to hold a 'star team' together. Teamwork is essential for competing in → today's global arena, where individual perfection is not as desirable as a high level of collective performance. 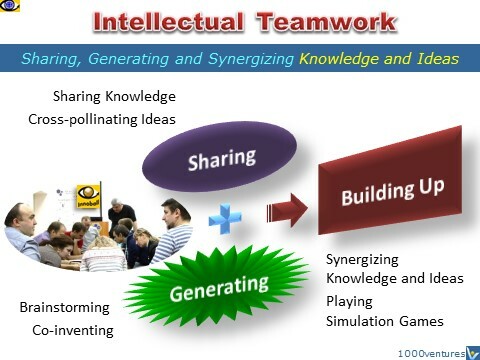 In knowledge based enterprises, teams are the norm rather than the exception. A critical feature of these teams is that they have a significant degree of → empowerment, or → decision-making authority. 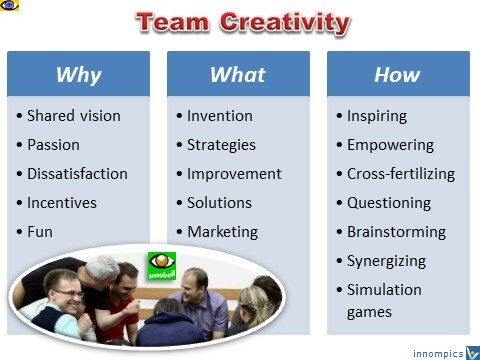 There are many different kinds of teams: → top management teams, focused task forces, self-directed teams, concurrent engineering teams, product/service development and/or launch teams, → quality improvement teams, and so on. Leaders: → Inspire. Managers: Coordinate. shared → passion for creation of → innovative customer value. You've got to give great tools to small teams. Pick good people, use small teams, give them excellent tools. 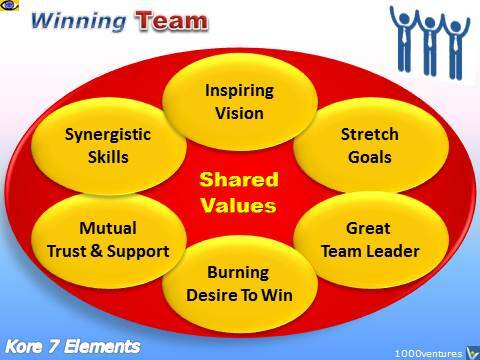 Managers should learn to become team players. Middle managers have to be team members and coaches.